In 1979, Sir Arthur Lewis of St Lucia won the Nobel Prize for Economics, sharing it with the American economist Theodore Schultz. Apart from the Nobel Peace Prize awarded to Martin Luther King 15 years earlier, he was the first black man ever to win a Nobel. In the Caribbean, only the French poet Saint-John Perse (born in Guadeloupe) had won one (for literature, in 1960). Thirteen years later Derek Walcott, another St Lucian, won the island a second Nobel Prize, this time for literature. He and Lewis had been to the same school (St Mary’s College) and shared a birthday: January 23. Lewis spent his professional life trying to improve the lot of former colonies as they struggled into independence and viability. He was a towering influence on his generation. The “Lewis Model” of economic development began influencing the Caribbean from the early 1950s, and set many of the economic patterns by which the region lives today. His “industrialisation by invitation” approach was most dramatically used in Puerto Rico and its “Operation Bootstrap” technique for economic expansion. Many of his ideas were successfully adapted in the fast-growing economies of the Far East. He was a tireless advocate of Caribbean unity, and there were few developing economies in Asia and Africa that did not receive his attention in one way or another. William Arthur Lewis was born in 1915. His parents were Antiguan immigrants and teachers. The educational discipline in the Lewis household was rigid. “I don’t think it was peculiar to our family,” says Vaughn Lewis. “It was made clear to you from the beginning that you were supposed to perform adequately.” The Lewis boys did: two won national scholarships, two were knighted. When Arthur fell ill at the age of seven, he stayed home for three months. His father, concerned that he would fall behind in his school work, taught him at home, and did such a thorough job that when Arthur returned to school he was shifted from grade 4 to grade 6; the rest of his school life was spent with older students. Having reached the top grade of the school early, he had to mark time for several years before winning a government scholarship to study overseas. “This gave me a double sense of physical inferiority as well as an understanding which has remained with me ever since, that high marks are not everything,” Lewis later wrote. His father died soon after, leaving his mother to raise five sons, ranging from five to 17, single-handedly. “My mother was the most highly disciplined and hardest working person I have ever known, and this, combined with her love and gentleness, enabled her to make a success of each of her children,” Lewis recalled. When boys at school bragged about the superiority of men over women, “I thought they were crazy. Lewis wanted to be an engineer, but in the colonial society of the day neither the government nor white farmers hired black engineers. Instead, he went to the London School of Economics, where he graduated in 1937 with a first class degree in commerce. The school awarded him a full scholarship to do a Ph.D. in industrial economics; he joined the staff in 1938, still aged only 22, and remained there until 1947, the year in which he married Grenadian Gladys Jacobs, by whom he would have two daughters. The following year he became Stanley Jevons Professor of Political Economy at Manchester University, a post he held till 1957. At the London School of Economics, Harold Laski had predicted great things for Arthur Lewis. He was right. They were to include the creation of a new branch of economics, a knighthood, the shaping of many of the world’s emerging economies, and a Nobel prize. 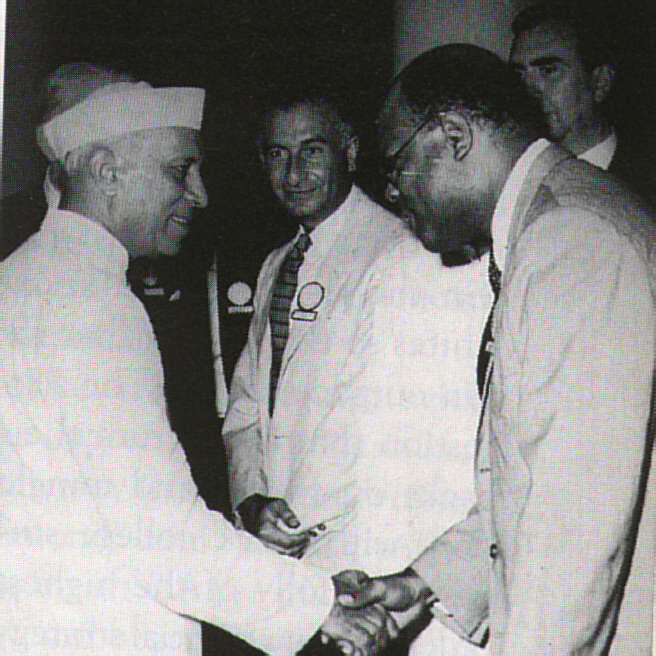 Although portraits of Arthur Lewis show him as a pillar of the establishment, his views were radical. It was an affiliation with the left-wing Fabian Society in London that led to the publication of one of his best-known books, The Principles of Economic Planning, which went through three editions and 11 impressions. His first Fabian Society publication, however, had been a scorching pamphlet in 1938 entitled Labour in the West Indies, which focused on the distressing conditions of the West Indian masses. He was determined to reconnect the science of economics with the realities of life. In the late 1930s, workers in the West Indies took their protests onto the streets: agricultural strikes, hunger marches and general unrest caused serious concern in Britain. For Lewis, the problems could be solved only by increasing the regions income and distributing it equitably. The islands needed low-interest loans to enable people to purchase land, redistribution of property and improved housing, health and education. “The British … are responsible for the presence in these islands of the majority of their inhabitants, whose ancestors have contributed millions to the wealth of Great Britain, a debt which has yet to be repaid,” Lewis wrote. A British report on West Indian problems recommended a strong focus on agriculture. Lewis disagreed. He preferred industrialisation based on local resources, and pointed out the different fates of those countries that had seized the chance to industrialise in the 19th century and those that had not. In The Industrialisation of the West Indies (1950) and Economic Development with Unlimited Supplies of Labour (1954), Lewis proposed a dual-track approach: a small but expanding industrial sector paying modest wages, and a large agricultural sector paying subsistence wages. By keeping wages constant, the industrial sector would grow, surpluses would be re-invested, and excess labour would be soaked up from the agricultural sector. Slowly, living and economic standards would rise, and both the employment and food needs of growing populations would be met. Further, since the Caribbean islands were short on capital and entrepreneurship, they would have to invite foreign investment through incentives and concessions. Because of their small market size, they would have to manufacture on a regional basis, with production geared to export markets. In many ways, this is still the model that defines West Indian economic policy today. “My interest in the subject of economic development was an offshoot of my anti-imperialism,” Lewis wrote later. So in England, his West Indian students, many of whom were already civil servants back home, were taught how economic theory related to Caribbean problems. Internationally, Lewis lectured on the causes of the great depression and on international trade and relations. He worked as a consultant and advisor to a string of international agencies and governments — the Caribbean Commission, the United Nations Economic Commission for Asia and the Far East, the Gold Coast government, the government of Western Nigeria, and Kwame Nkrumah, Prime Minister of Ghana. In 1959 Lewis returned to the Caribbean to become the first West Indian Principal of the University College of the West Indies, soon to become the University of the West Indies (UWI). He served as UWI’s first West Indian Vice-Chancellor (1962-3) and later became its visiting Professor of Economics, teaching courses in development planning to undergraduate and graduate students. But in many ways Lewis was swimming against the tide. He opposed the back-to-Africa movement fashionable in the 1970s, and the trend towards fragmentation among the islands. He opposed the American Black Power movement too. 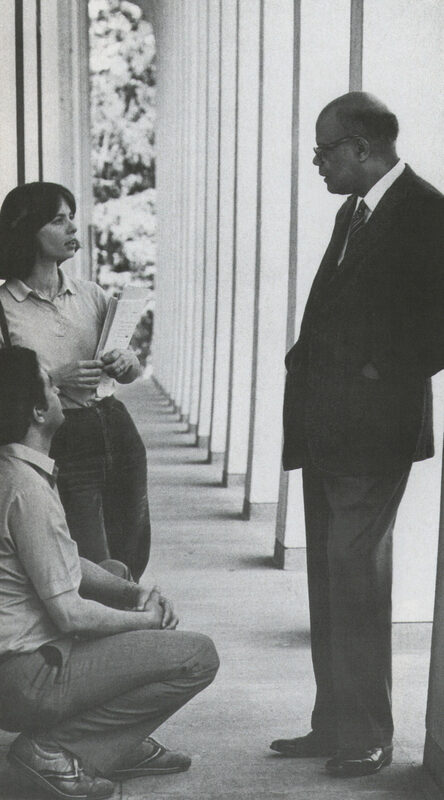 In a 1969 issue of the Princeton Quarterly, he suggested that the only way for America’s black minority to win the game was to “know whites so thoroughly that we can outpace them.” The suggestion that blacks turn their backs on whites and mingle only with black college students “is folly of the highest order. . . Our essential strategy is to use all the normal channels of advancement (in particular higher education) to climb the ladder.” The idea that black America would be saved by the emergence of black agitation, he said, was a hoax. It is easy to see how Lewis arrived at these opinions, and how unpopular they would be. Looking back on all this at a UWI graduation address some years later, Lewis reflected that men like himself were derogatorily called “Afro-Saxons”, black men who held on to the styles and values of a colonial culture. But he saw the name as a compliment: for him, it meant a black man holding his ground in competition with white people on their ground. 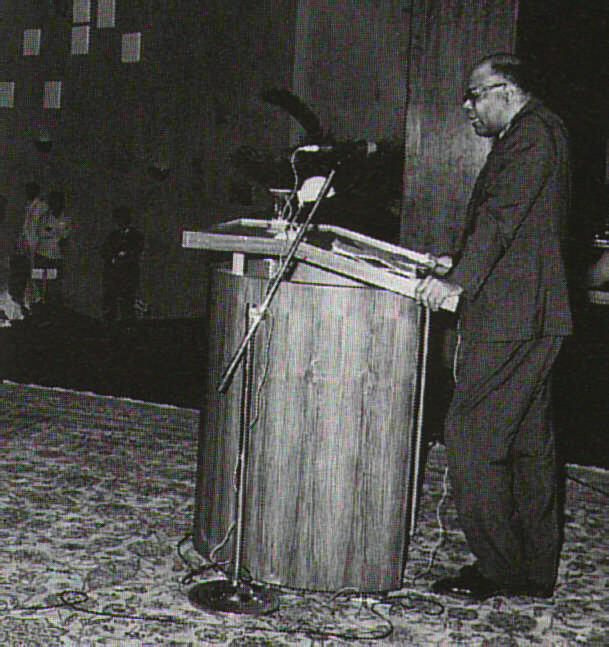 Lewis remained in the Caribbean for only four years before taking up a professorship at Princeton in the United States in 1963. But those years coincided with the region’s abortive experiment with federation, a process close to Lewis’s heart; its failure must have been traumatic for him. As each island realised it could get self-government on its own, the Federation became an obstacle. In addition, there was friction among the leaders in Jamaica, Barbados and Trinidad. Then, just before the Jamaica referendum in 1961 on future participation in the Federation, the British Secretary of State for the Colonies promised that if Jamaicans voted no, the island would be granted independence. Jamaica voted no. Even that did not work. Lewis’s upbeat report was thrown out by Eric Williams’s Cabinet and party convention. Trinidad and Tobago was to pursue its own independence. The federal idea dragged on for some years, but by 1965 Barbados too had given up on it, and decided to opt for independence too. That was the end of it. “If each little island goes off on its own, its people must suffer,” Lewis warned. In the early 1970s, Arthur Lewis was the first president of the Caribbean Development Bank which he helped to found in Barbados in 1970. But basically he worked in America until his retirement in 1983, the same year he was made President of the American Economics Association. Development Planning appeared in 1966, Reflections on Economic Growth in West Africa in 1968, Some Aspects of Economic Development in 1969, Tropical Development 1880-1913 in 1971, Evolution of the International Economic Order in 1977, and Growth and Fluctuations 1870-1913 in 1978. His academic standing was recognised by honorary doctorates from the Universities of Toronto, Columbia, Dakar, Bristol, Rutgers, Manchester, Lagos and the West Indies. That is a common criticism — that Lewis naively assumed that multinational corporations invited into developing economies would reinvest their profits and transfer their technology, instead of exploiting the cheap labour, exporting their profits and moving on. 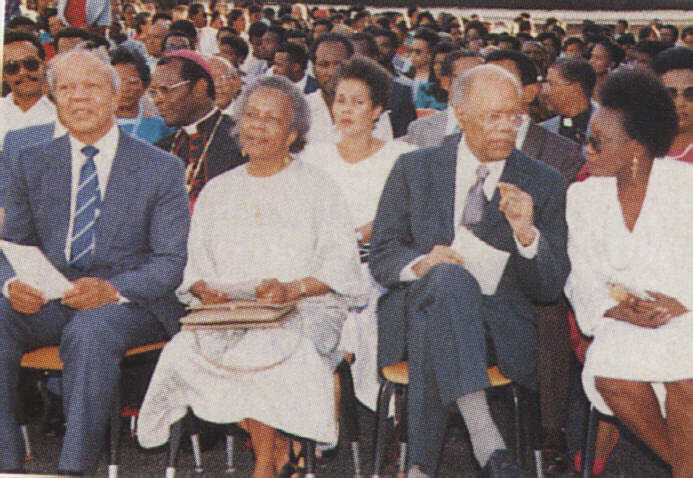 At home, recognition of Arthur Lewis’s achievements came towards the end of his life, when the St Lucia government united its higher education institutions into one body and called it the Sir Arthur Lewis Community College. 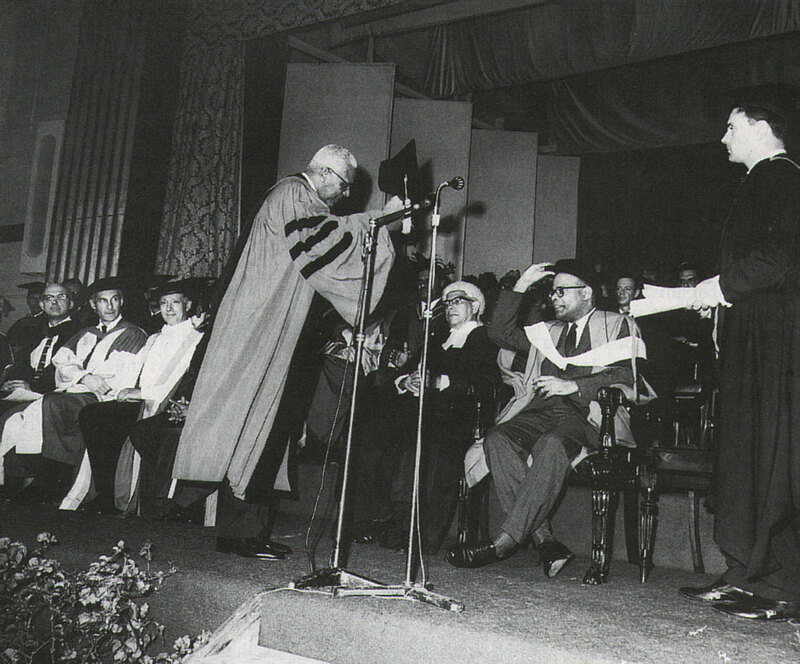 After he retired, Sir Arthur attended the college’s graduation ceremonies regularly until his death in 1991. In 1992, the staff of the College gathered at work to watch Derek Walcott on television receiving his Nobel prize from the Swedish monarch in Stockholm. In the midst of the proceedings, a few staff members slipped out of the room. They made their way to Sir Arthur Lewis’s tomb, a black monument on the College campus, engraved with gold lettering. To include St Lucia’s first Nobel prizewinner in the festivities of the day, they poured a champagne libation onto the shiny black stone.